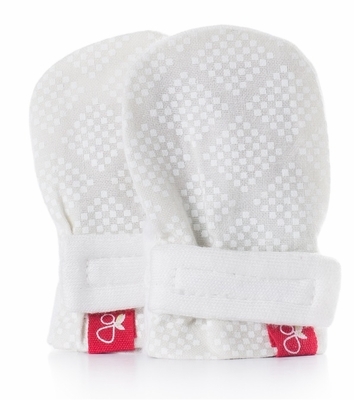 These are the perfect stay-put scratch mitts. 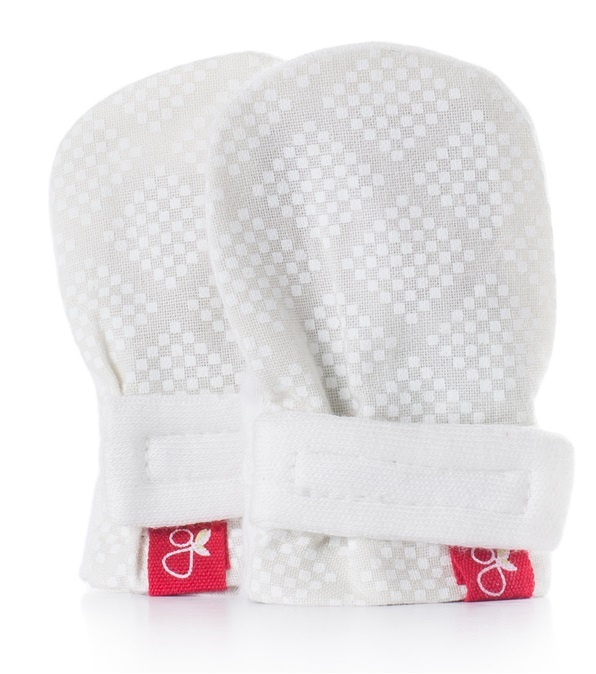 Made of organic and breathable materials, each mitt features a velcro strap to keep them from falling off tiny little baby hands. 70% bamboo, 30% organic cotton. By Goumi Kids.